Alexis Frost, Nick Walker, and Ruby McClure aren't friends, but they're all volunteers on Portland County's Search and Rescue team. Alexis joined because she needs an interesting extracurricular to attract financial scholarships for college; Nick joined in the hopes of living up to the heroism of his soldier father, who died saving others; affluent Ruby joined because she's fascinated by true crime and by mysteries. Although they all seem like average kids from a distance, they all feel alone in different ways: Alexis has kept her mother's mental illness hidden from Child Services for a long while, but now her mother has gone missing and she has no one to turn to without being placed in foster care; Nick is mixed-race, but feels "too light skinned to be black, too dark skinned to be white", and like neither world accepts him; Ruby is mostly solitary, but not by choice: she appears to have Asperger's syndrome or another mild form of undiagnosed (or at least unmentioned/unnamed by the narrator) autism, is viewed as an odd duck by her peers, and has never really had a real friend, and her parents' protective instincts verge on controlling. 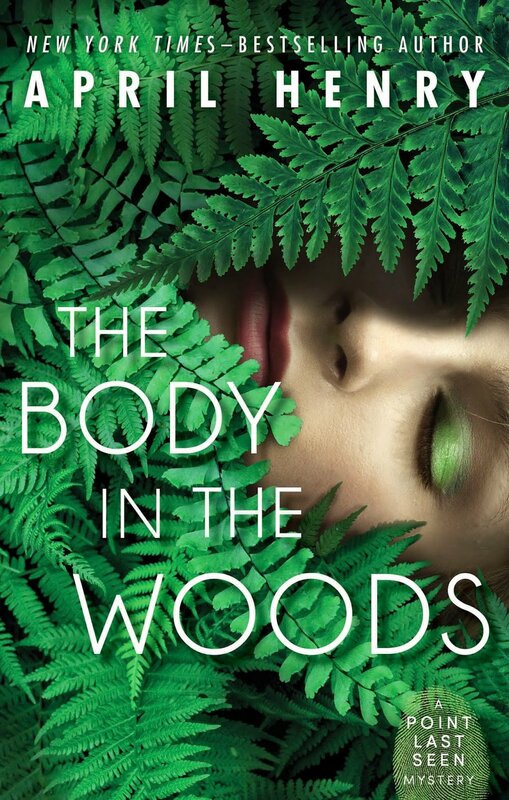 On a seemingly routine search for a lost man, the trio stumbles (almost literally) over The Body in the Woods... and they quickly realize that it's very likely that the killer is one of the hikers that they encountered on their search. Although the local police tell them to back off, to let the professionals do their jobs, they find that they just CAN'T comply... especially when they uncover more clues. The genre! There are loads of amateur sleuths in the YA realm, but not a whole lot of procedurals. All of the details about Search and Rescue, about crime scene procedure, about Trauma Intervention, etc., are EXTREMELY interesting. Killer cam! Yes, the killer gets to narrate a few chapters, and he's wonderfully over-the-top in terms of drama, arrogance, and pretentiousness. Readers who've read a lot of mysteries will likely identify him early on, but that won't minimize the suspense, especially when he (DUN DUN DUUUUUN) focuses his attention on one of our protagonists. As interesting as the details about Search and Rescue, homelessness, etc., are, they generally read like Henry was transcribing them almost word-for-word from her notes. Nutshell: YAY TEEN PROCEDURALS WITH DIVERSE CASTS! I WOULD LIKE MORE, PLEASE.